How to use Google alerts to help SEO? When you are struggling with SEO, Google Alerts, a powerful tool, can provide you with the assistance you need completely free. That’s why I use it myself all the time. First off, here’s a look at what I use Google Alerts for, as well as how you can use it to your advantage. Regardless of your business or niche, you need to know what others are saying about you. This provides you with the chance to interact in a way that nurtures a positive perception of you and your brand. Monitoring gives you the ability to track conversations, which helps you identify leads, influencers, and buyers, while also building relationships and a sense of community about your brand, company, and products. If your ultimate goal is to become a niche in your authority and build a brandable blog, Google Alerts allows you to track blog branding. This means you’ll know when someone mentions or links to your blog in a post and determine what value it adds. For example, anytime my name (Danny Donchev) or brand (Fortune Lords) is mentioned by someone, Google Alerts sends me an email notification. I always make sure to get in touch with the person and thank them for the mention. When setting up Google Alerts, do not skip setting up notifications for your name and brand name. It takes just a few minutes each day to check out new mentions, but it is an excellent and time efficient way to establish relationships with people who already know you and have mentioned you in their blog. This is much easier that randomly reaching out to bloggers you have found on the internet who have no clue who you are. Guest blogging for SEO isn’t used anymore, but that doesn’t mean you should forget about guest blogging. It is a great way to increase brand exposure and traffic to your site. Check out this article by Smartblogger Jon Morrow for an in-depth explanation of why guest posting is not dead. Here’s how Google Alerts will help you find the top guest blogging opportunities. You’ll receive an email notification from Alerts when a blogger decides to start accepting guest posts. Your chances of being given a chance to post are much higher the sooner you reach out to them. Plus, this means you don’t have to visit countless blogs regularly looking for guest posting opportunities. To use Google Alerts, choose your targeted keywords. Anytime something is posted or indexed around the keywords, you’ll receive a notification. If a blogger doesn’t mean a guest posting opportunity on their landing page, visit their contact page. Many allow you to submit a guest post or email through here. You can also use the formats “guest post” SEO, “write” SEO, “contributor” SEO, and “bloggers wanted” SEO. There’s one important thing to keep in mind when guest posting. If you could care less about quality and are only doing it to get a backlink back to your website, you have a problem. This also applies to anyone who spends $5 or $10 to outsource an article or uses spun content. Other blog owners won’t use it, you’re wasting your time, and you’ll ruin your reputation quickly. Bloggers with a large audience truly care about their reputation and their readers, so they tend to be incredibly picky before accepting a guest post. Writing a guest posts that provides valuable, high-quality content will be especially beneficial. Not only will you get a backlink to your site, but you’ll reach a new audience and separate yourself from the competition as an authority on the topic you are discussing. In some cases, the blog owner may opt to partner with you. 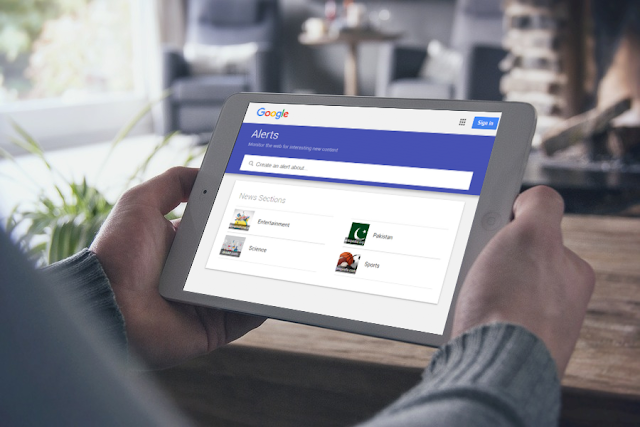 Google Alerts allows you to easily keep up with news or trends in your niche. Simply set up Alerts to send you alerts for keywords on topics you want to keep up with. You can change the sources for the alert for different results depending on what you want. For example, if you are only interested in news on your topic, choose news as your only source. Instead of submitting URLs to Google for indexing, wait and let Google index your content naturally. Google Alerts will let you know when this happens. Just create an email notification with your blog name and you’ll know when your recently published posts are indexed. You also have the option of setting an alert for any blogs you guest post on, so you’ll receive an alert when your guest post is indexed. Forums are a great place to get new ideas and drive traffic back to your site. For example, if you have created an outstanding article on backlink building infographics, you’ll want to monitor forum discussion on infographics. Be sure to include any forums in your niche, so that anytime a discussion about infographics get started, you can post and interact within the discussion. This may help you backlink to your site and drive traffic your way. You also have the option of selecting the sources as discussions. These queries will return any comments this person makes on any blog. This gives you the opportunity to “spy” on other fabulous bloggers who are using their comments to drive traffic to their site. You’ll likely find that they strategically leave comments on popular blogs, which is something you can also do to enhance traffic to your own site. When you have a popular blog post, Google Alerts will allow you to monitor any mention of them on the web. For example, I wrote the article 318 SEO and Digital Marketing Tools: The Complete List. Anytime my post is mentioned, I get an email notification, which gives me a chance to engage in the conversation. Quite a few top bloggers routinely publish interviews with other bloggers in their blog posts. 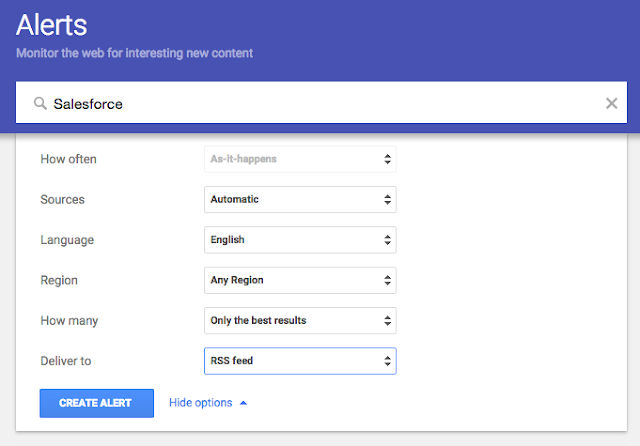 While you’ll likely need to work on building a relationship with such bloggers, there is a Google Alerts search query you can use to keep you up to date on any recent interviews. Simply enter “interview with” Blogging + SEO. Anytime a new interview is posted in your niche, you’ll receive an email notification. This is also a good way to monitor roundup and expert posts. It should go without saying that there are certain keywords you use on your page specifically with the goal of enhancing your search engine rankings. Of course, you’ll want to keep track of any web activity regarding these keywords. Setting up a Google Alerts for your specific keywords, such as “keyword planner,” to determine what type of content is currently ranking. The goal, of course, is to see your own website frequently pop up. I truly believe that Quora, a Q&A community, is highly underused and underrated, especially by bloggers because it gives you the chance to build your authority on a certain topic, as well as cultivate relationships by answering questions from people who have similar interests and ideas. At any time of day, there is a conversation on Quora. Joining in can only benefit you because there are always people looking for help. Simply going on the site and searching for keywords related to your niche is sure to return hundreds of questions. However, by setting up a Google Alert, you can receive an email notification anytime a new question related to your keywords is published. Not only will this enable you to be the first to answer the question, but it’s also ideal for adding a link to your website. Be careful not to drop links solely for the purpose of gaining a link. Spamming Quora will damage your reputation. Instead, be sure you respond with an appropriate and helpful answer. Only include a link to your website if it makes sense to. Anytime you leave an answer on Quora, be sure to give your best in order to get more upvotes. By now it should be rather obvious that Google Alerts is an incredibly powerful (and free) tool that can help your website, while also saving you a tremendous amount of time you would otherwise spend scouring the internet for new linkbuilding opportunities. If you haven’t already, it’s time to set up alerts related to your niche. Then, take a few minutes each day to check your inbox for any alerts. If you liked this post, do not forget to share it with your audiences! Danny Donchev is the founder of Fortune Lords. He has been doing Digital Marketing and SEO since 2004. Thanks to his skills high-ranking web sites he has been lucky enough to escape the rat race. For his 34 years, he worked 9-5 jobs only for 2 years. Danny has a passion to educate digital marketers who are at the beginning of their career path. Follow him on Twitter | Facebook | LinkedIn.